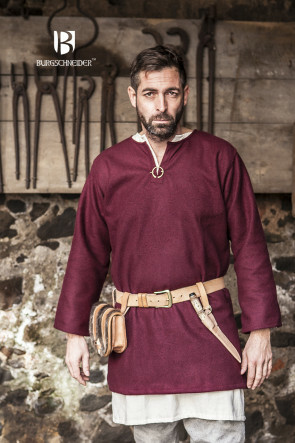 Originally, the term Viking did not describe an ethnicity, but rather a profession: namely, the bellicose seafarer. 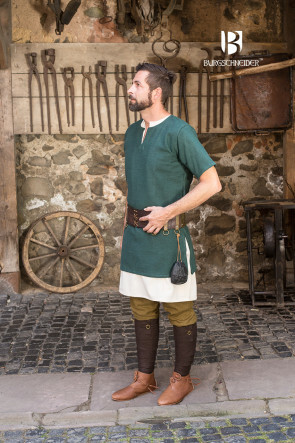 In this text, however, it will be used to refer to the Scandinavian population who, during the Early Middle Ages, wore those pieces of clothing commonly known today as Viking tunics. 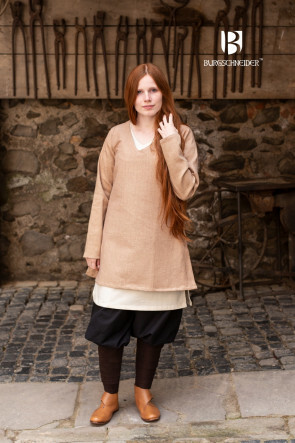 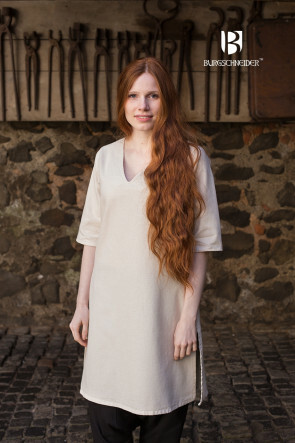 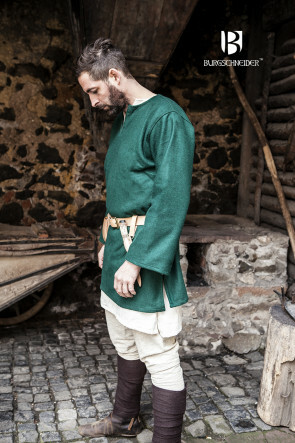 The Viking tunic was an integral component of everyday life, for it had to make the harsh Scandinavian climate more bearable. 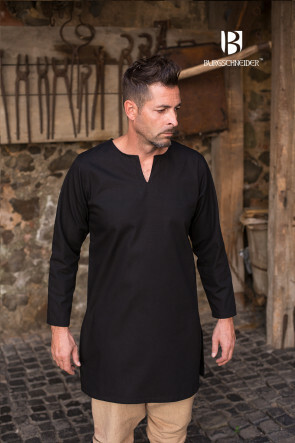 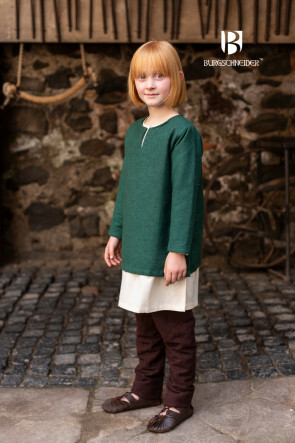 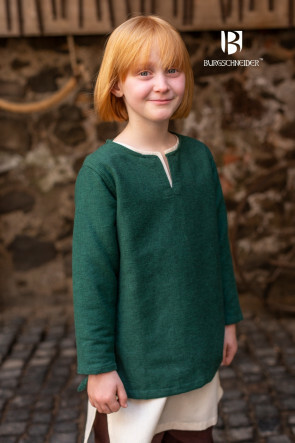 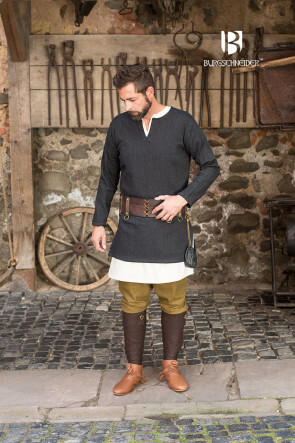 For this reason, the Vikings usually fashioned their tunics from wool, which was readily available and afforded protection against the wind, the damp, and the cold. 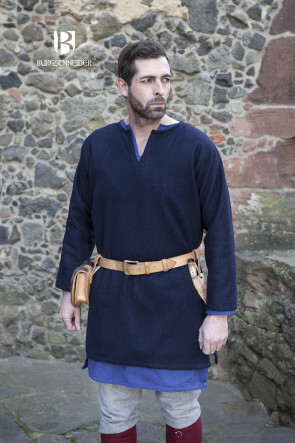 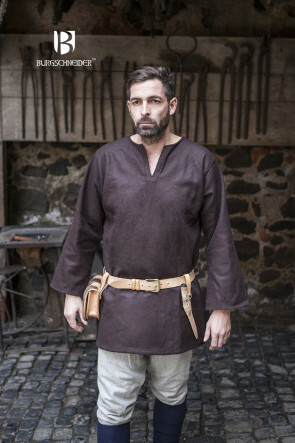 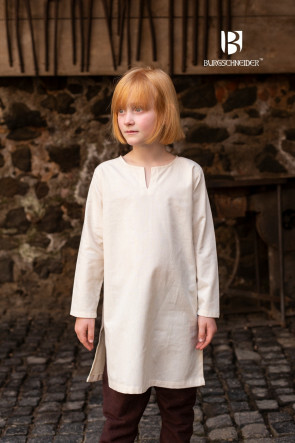 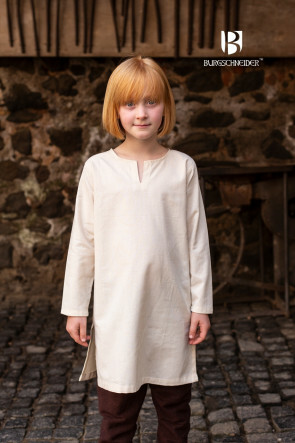 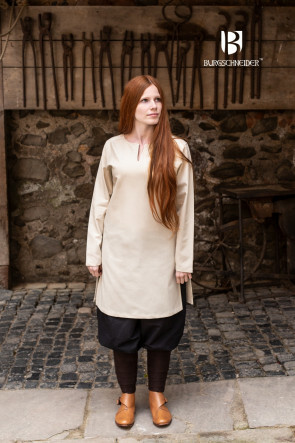 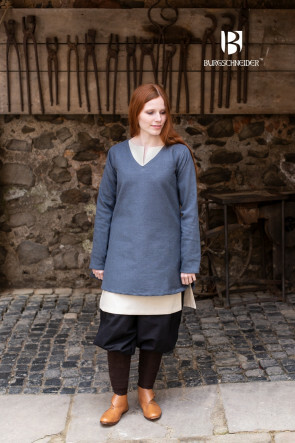 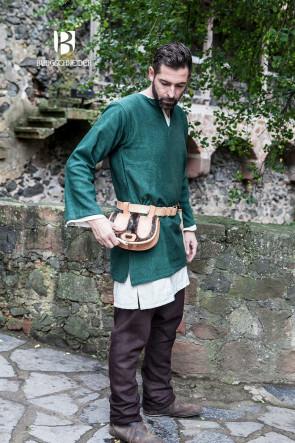 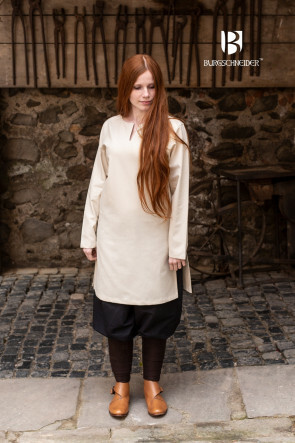 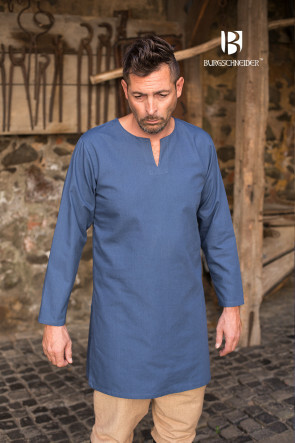 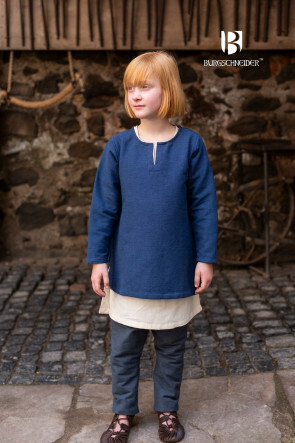 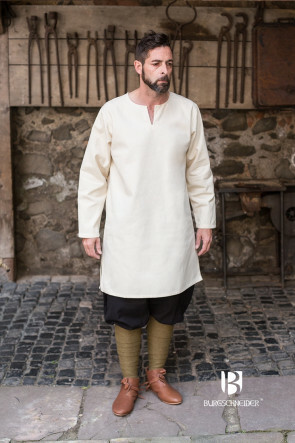 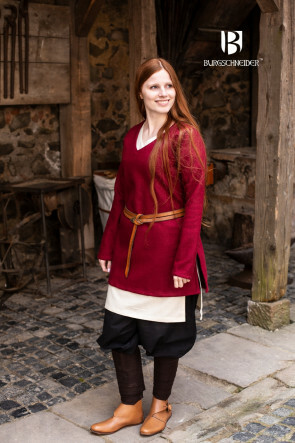 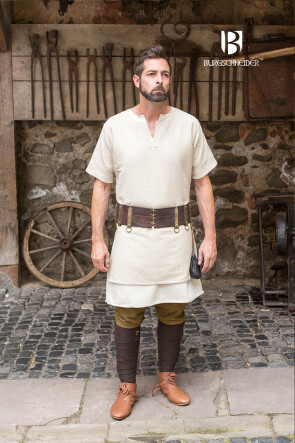 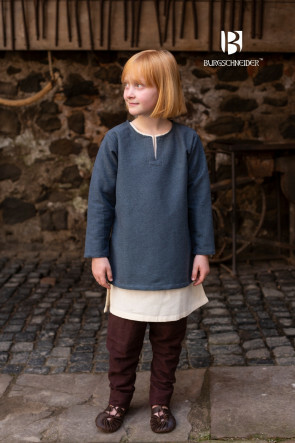 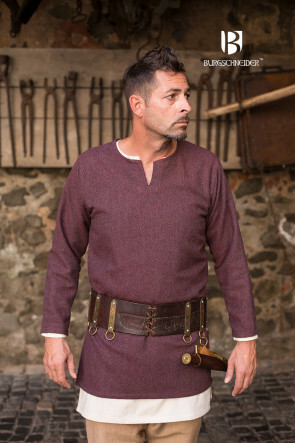 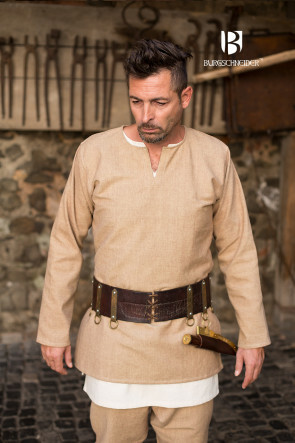 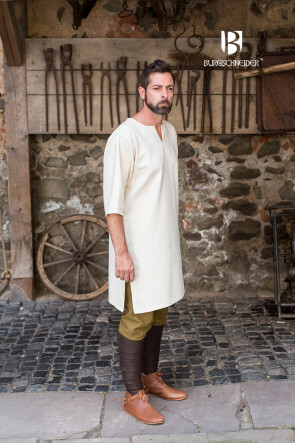 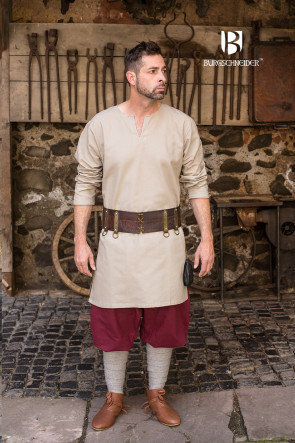 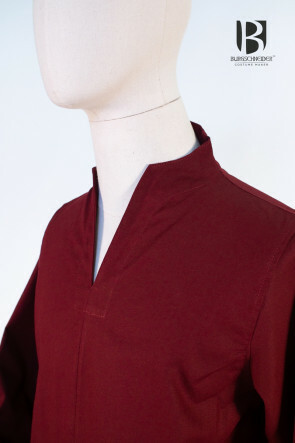 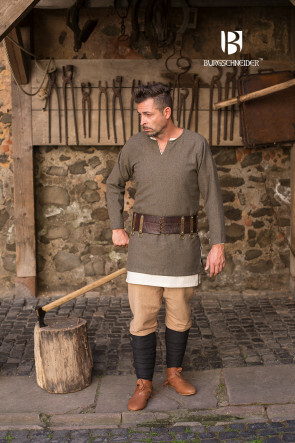 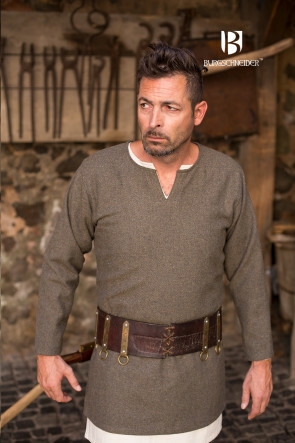 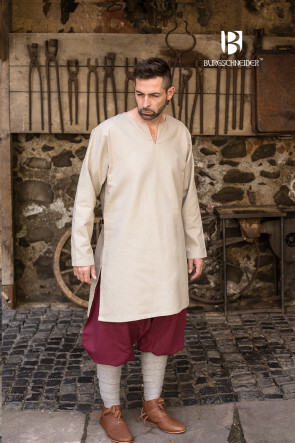 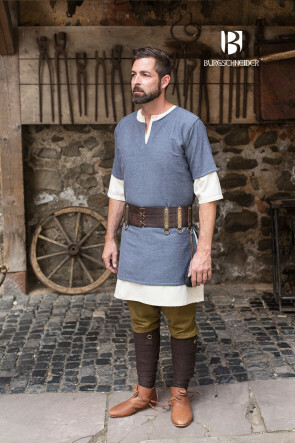 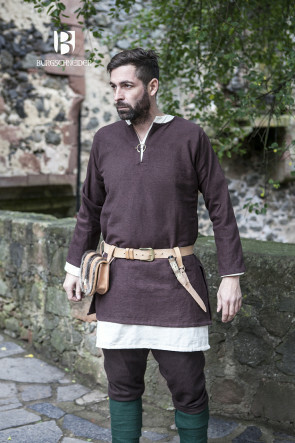 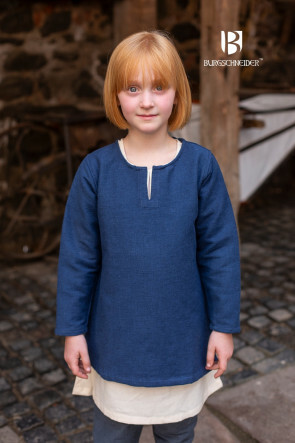 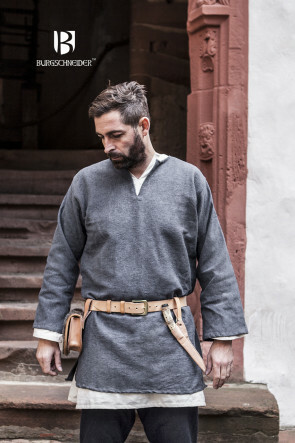 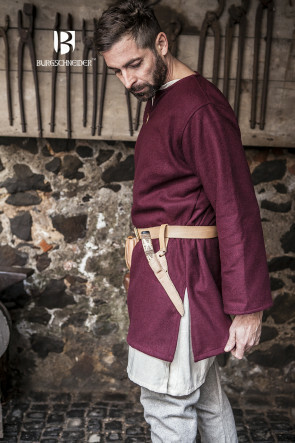 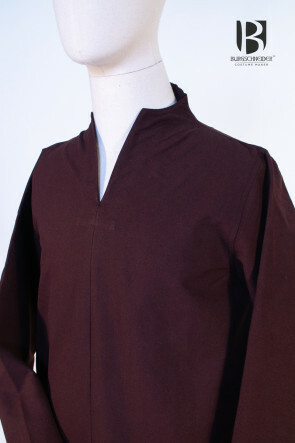 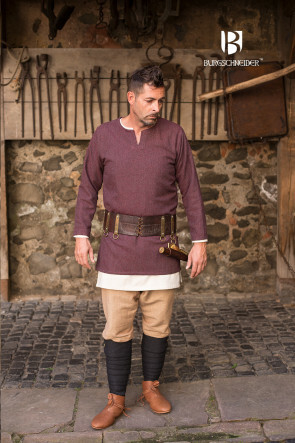 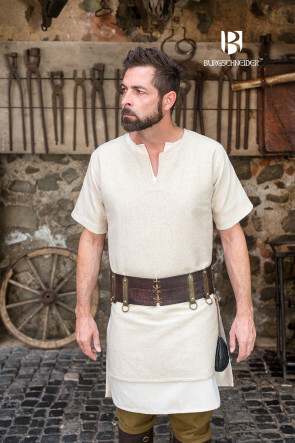 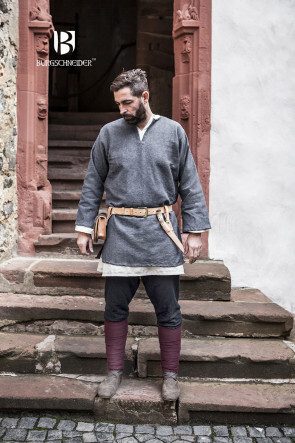 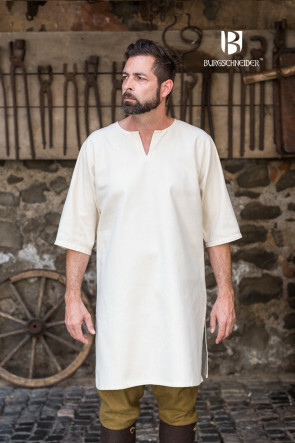 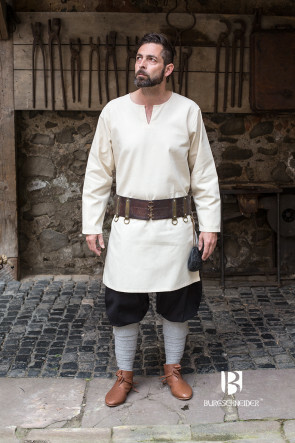 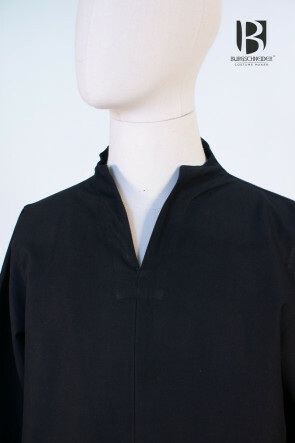 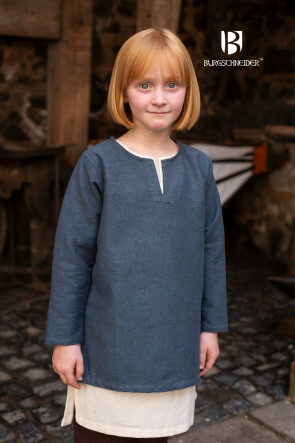 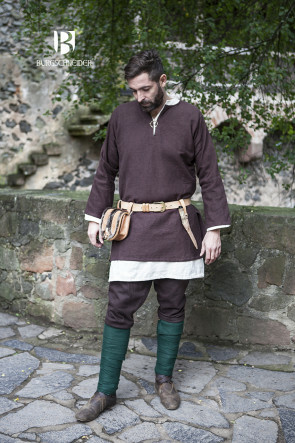 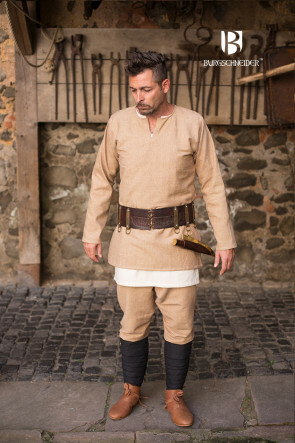 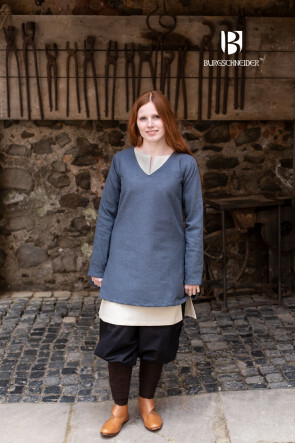 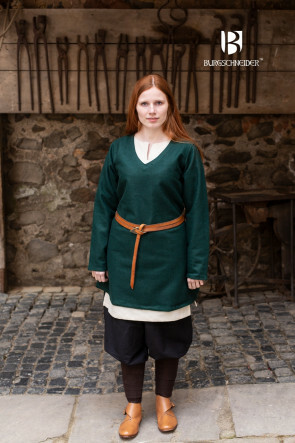 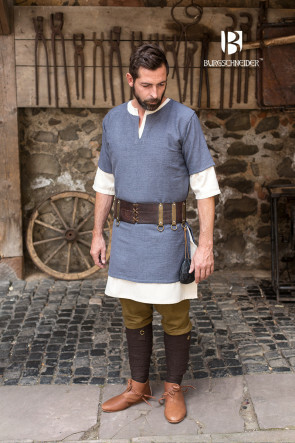 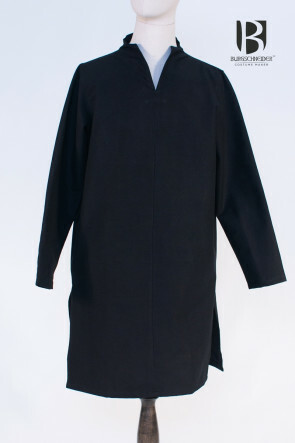 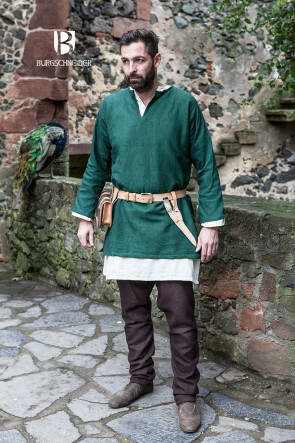 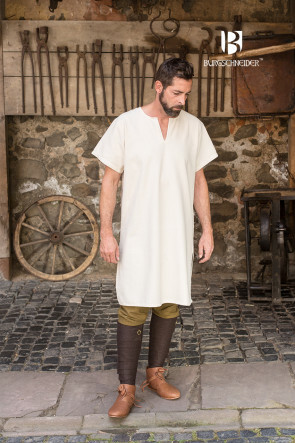 A variant made from linen was quite popular as an undertunic as well; when combined with several other layers of clothing, it served the same purpose, as well as providing breathability. 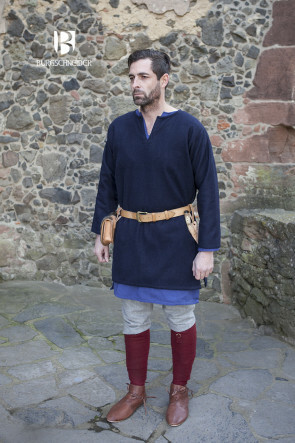 The upper tunic, however, was primarily made from wool, and in some cases, it was adorned with colored fabrics around the collar. 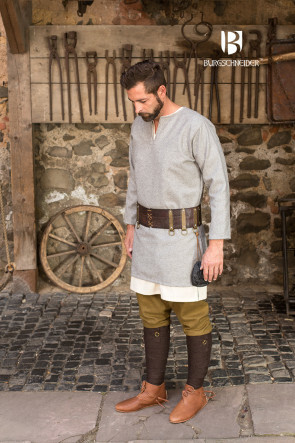 Most clues about the qualities of the Viking tunics come from excavations of graves and sacrificial offerings. 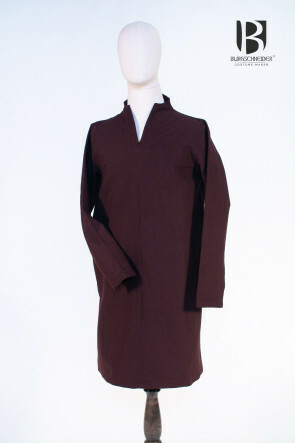 Because natural fabrics are susceptible to decomposition, unfortunately they are not very well preserved. 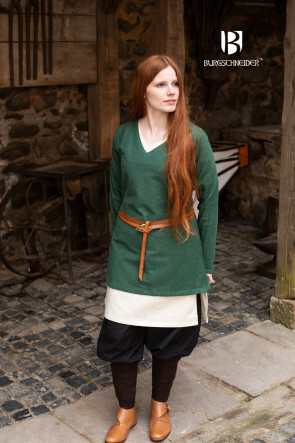 Major excavation sites, such as Haithabu, have, however, contributed a great deal to our knowledge of Viking tunics. 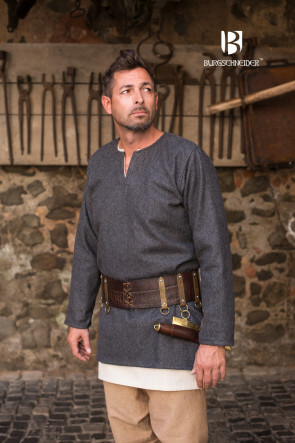 For instance, we do know that the Vikings soaked their tattered clothes in tar, using them to plug leaks aboard their ships. 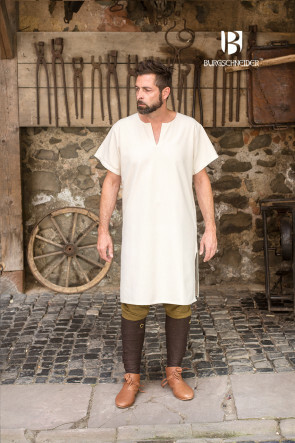 Thanks to the tar, those particular pieces have remained in a preserved state, making it possible to reconstruct the findings and to acquire a general understanding of what those tunics might have looked like at one time. 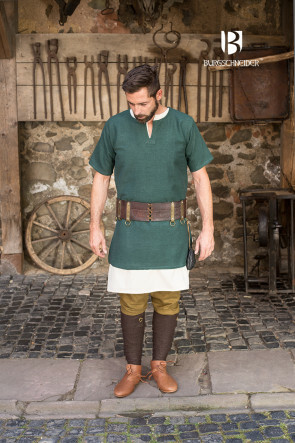 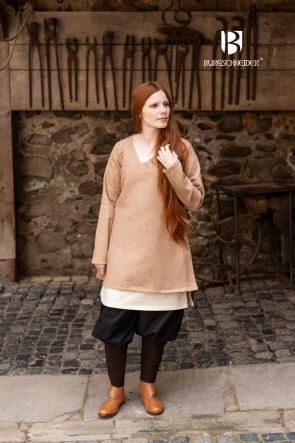 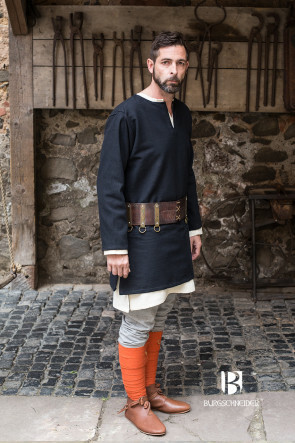 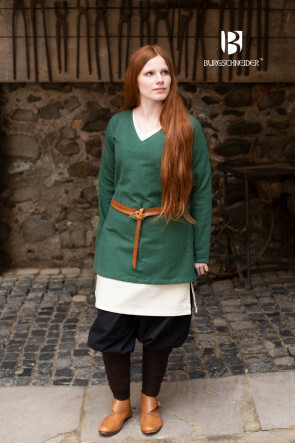 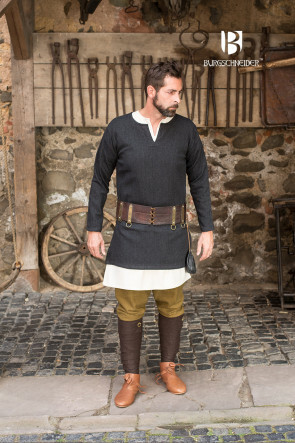 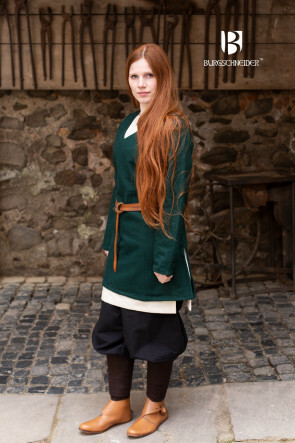 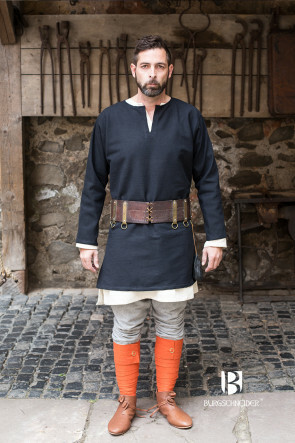 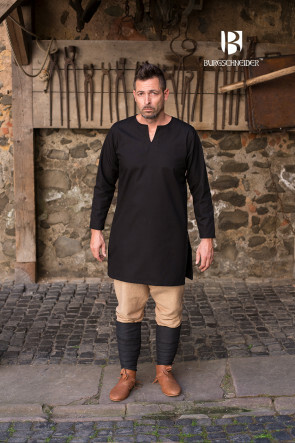 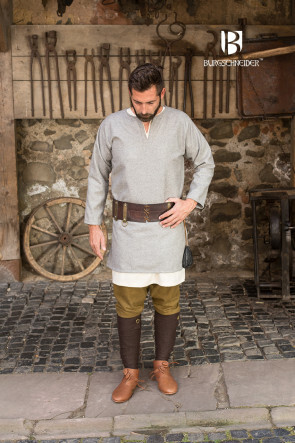 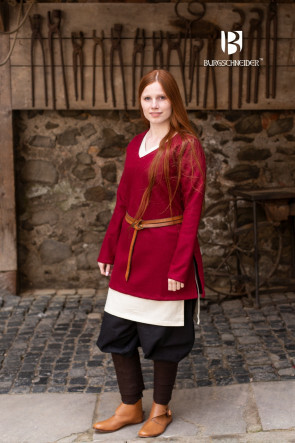 Since most findings of Viking tunics have been less well preserved, it is difficult to develop a clear understanding about the general appearance of Viking fashion. 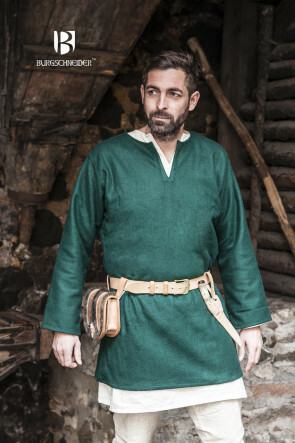 Thanks to modern chemical analyses of the fibers, at least we know which particular fabrics the Vikings used to make their clothes. 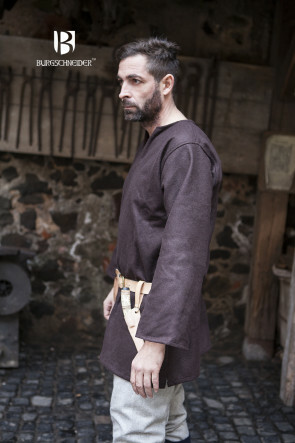 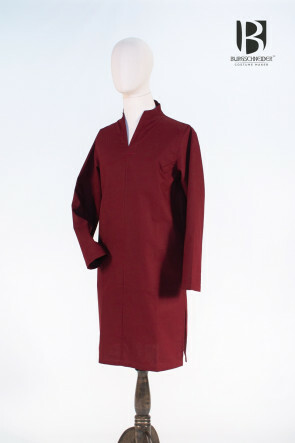 And from the findings from Haithabu, we are somewhat able to approximate the look of the Vikings’ tunics.